If there’s anything better than Ranveer’s crazy solo dubsmash videos, it’s these super adorable ones he’s making with Deepika. They sure look like they’re having too much fun making them, and so are we just looking at them behave like a crazy in love couple! It takes quite some courage to get “roasted’ in front of so many people, and not take offense at sly jokes being made about your past and present relationship choices. Deepika sitting in and supporting Ranveer wasn’t the best part about the AIB Roast - it was the fact that she laughed through it all that said tons about how secure these two are together! Back in July, Ranveer was spotted waiting on the airport with a bunch of flowers to welcome Deepika from a holiday abroad, and now we saw Deepika coming along to drop ranveer off the airport, and kiss him before letting him go. Making every goodbye and hello special? Aww! 4. Who’s Cooler Of The Two? Recently this “it” couple graced a magazine’s cover and not just gave them some steamy shots, but also answered a bunch of fun questions about each other. Through the session, we caught Deepika blushing, while the usually high on energy Ranveer had trouble answering - and those smiles just said it all! Just who could have possibly missed their sizzling chemistry on-screen in Ram Leela (it secretly made us wonder just how awesome it must be in real life!) 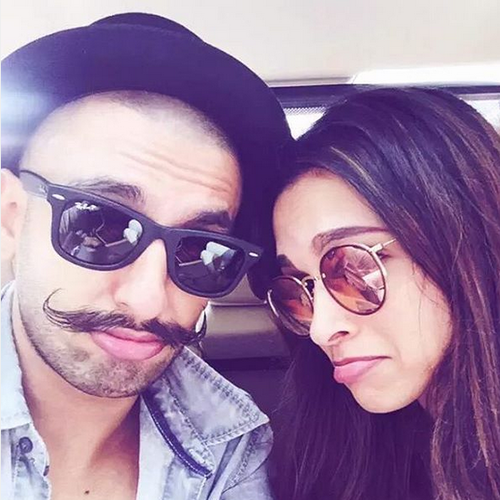 and now, we can’t wait to watch them romance again in the soon to be released Bajirao Mastani! 6. Planning To Get Married Next Year? Rumours abound that these two have gotten a heads-up from their respective families, and may get married next year! 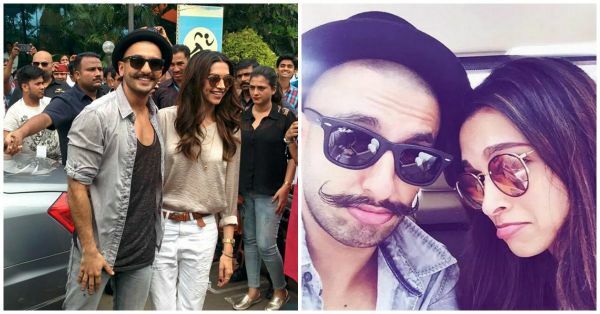 We don’t have concrete facts - but Ranveer going on a shopping trip with Deepika’s family and flying down from Malaysia only to celebrate her father’s birthday are signs hard to miss!. We sure do hope they’re true! First, at IIFA awards this year, Ranveer and Deepika coordinated the colour of their outfits (too much of a coincidence, really!) and then he actually got down on his knees for her on stage! And now recently, at the song launch of Bajirao Mastani we heard Ranveer say, “Deepika is so beautiful that I will wait all my life for her” - need we say more?! <3 Source: Ranveer Singh On Instagram Featured Image: Viral Bhayani MUST-READ: She Said YES! 6 ADORABLE Celeb Proposals That Had Us Go Aww! MUST-READ: Would These Be the Perfect Hollywood Bollywood Valentine Couples?